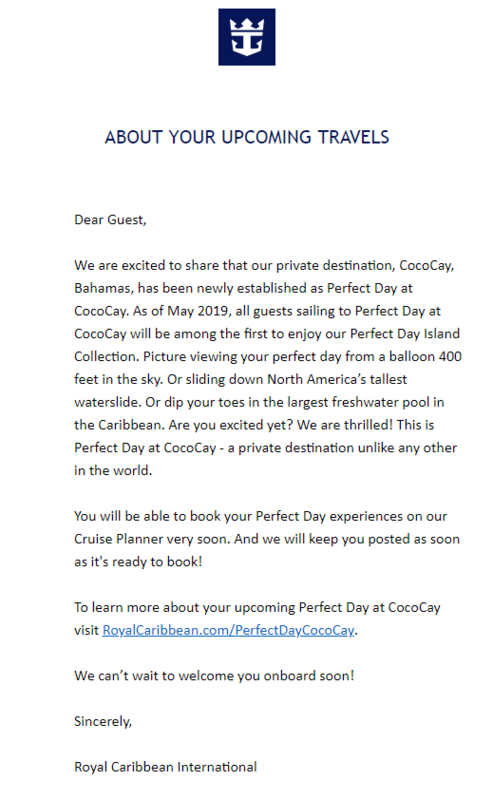 Royal Caribbean has emailed guests with sailings to CocoCay on or after May 2019 to let them know that the Perfect Day at CocoCay changeover is coming soon. 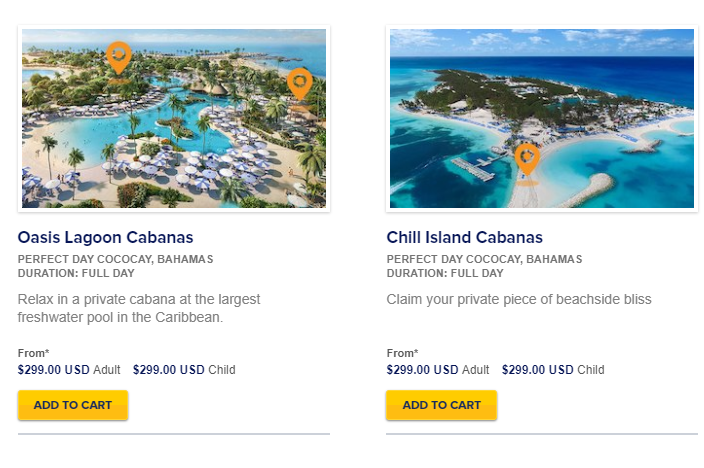 The cruise line has also began opening up bookings for some of the new activities and features coming to Perfect Day at CocoCay, which provides our first look at pricing. 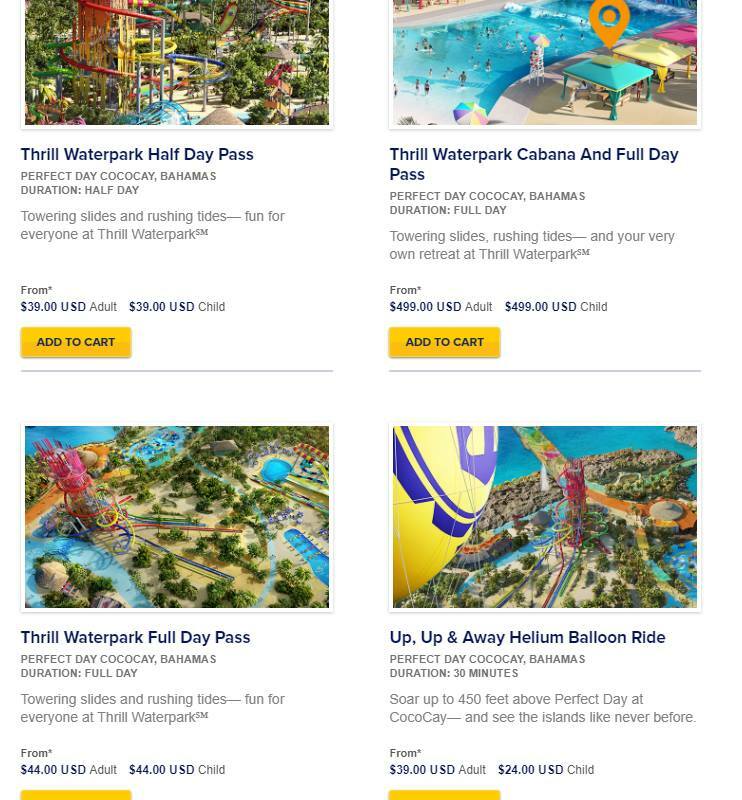 Thanks to Royal Caribbean Blog reader Kayla Hildebrandt for providing screenshots. 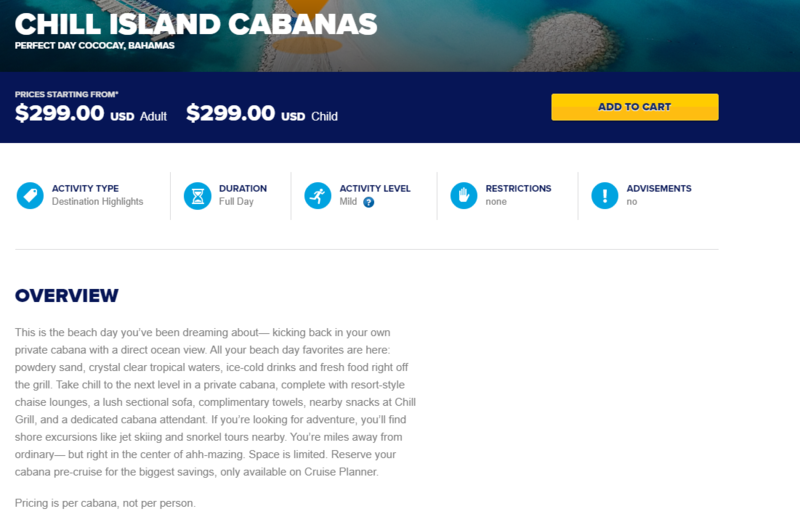 The email to guests indicated that May 2019 appears to be the date the cruise line is eyeing for the official opening and changeover. 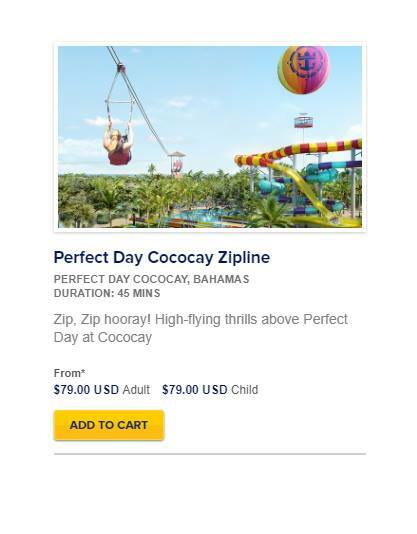 It appears the booking options are available for select sailings with stops in Perfect Day at CocoCay that are at least in May 2019. Perfect Day at CocoCay will open in phases and is a $200 million upgrade to the private island. The first aspect of Perfect Day at CocoCay is scheduled to open in September 2018 when the new pier is completed. Chill Island and Oasis Lagoon are planned for November 2018, while Thrill Waterpark and South Beach debut in April 2019. 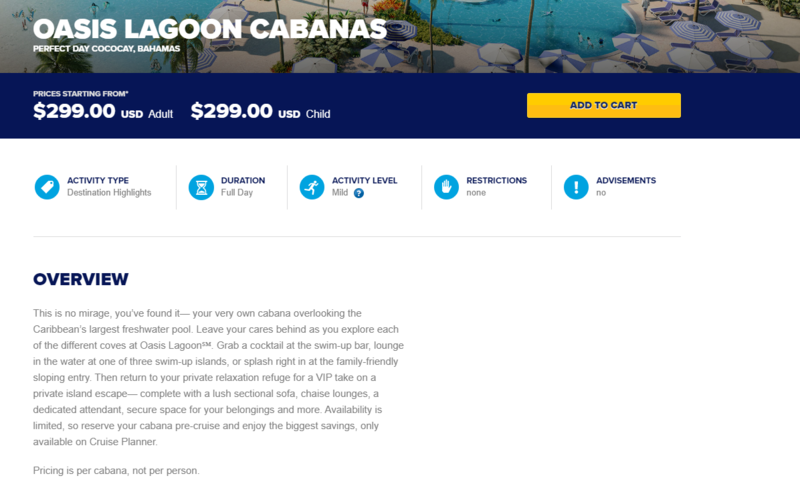 The official Perfect Day at CocoCay Grand Opening, which will include CocoBeach Club and the Overwater Cabanas, is set for November 2019.